Before excitedly sending your children to the bus stop for their first day back to school, wake them up as early as possible, yell “I’m BORED!” and ask them for a snack. 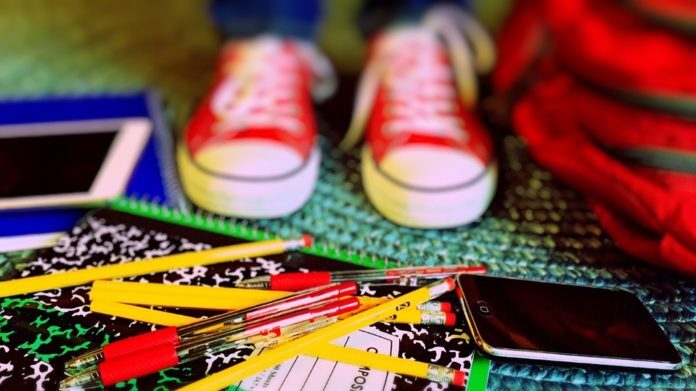 After you’ve exacted this revenge on them, read them these great back to school jokes! If there is anything more maddening to kids than going back to school, it’s the fact that there are back to school jokes ready for them to roll their eyes at! Q: Why did the music teacher need a ladder? A: To reach the high notes. Q: What kind of plates do they use on Venus? Q: Why did nose not want to go to school? A: He was tired of getting picked on! Q: How do you get straight A’s? A: By using a ruler! Q: Why did the kid study in the airplane? A: Because he wanted a higher education! Q: What holds the sun up in the sky? Q: When do astronauts eat? Q: What did the pencil sharpener say to the pencil? A: Stop going in circles and get to the point! Q: How does the barber cut the moon’s hair? Q: What do librarians take with them when they go fishing? Q: What vegetables to librarians like? Q: Why did the clock in the cafeteria run slow? A: It always went back four seconds. Q: Why didn’t the sun go to college? A: Because it already had a million degrees! Q: Why did the broom get a poor grade in school? A: Because it was always sweeping during class! Q: Why was the teacher wearing sunglasses to school? A: She had bright students! Q: What has given Mr. Bubbles nightmares since elementary school? Q: What makes a cyclops such an effective teacher? A: He has only one pupil! Q: What kind of school do you go to if you’re an ice cream man? Q: Why do magicians do so well in school? A: They’re good at trick questions. What’s The Best Ride At The Amusement Park?